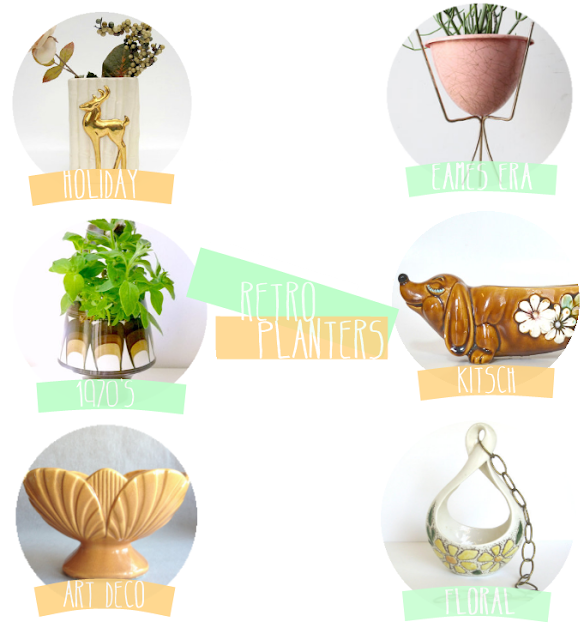 Today's Kitsch Krazy is all about vintage planters! You can use these babies for just about anything. You can store all kinds of goodies inside, use them for vases (or their actual purpose), and add them to a space for a little kitsch-y decor. There are so many varieties and styles of planters, it's hard to choose! I find myself most in love with the very atomic planters and of course the amount of cute animal planters on Etsy is outrageous. Fluffy Poodle and Baby Fawn, I want you! Here are a few different styles that I love!